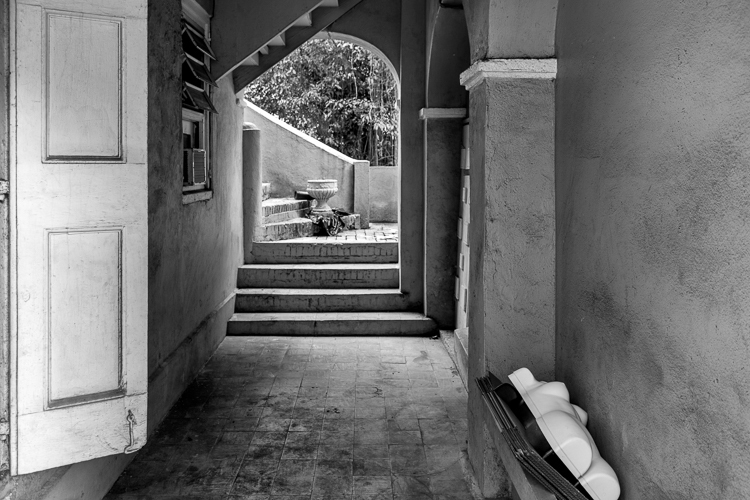 I shot this while roaming the back streets and less touristy areas of St. Thomas. I love to wander along the edges. The most interesting things, at least to me, seem to be off by themselves, waiting to be discovered. What attracted me to this was partly the way the light was moving through the passageway but when I saw the female mannequin in both black and white models stacked to the side I was full of unanswered questions leaving plenty of room for me to fill in my own facts!